If you’re heading to Ireland for our magical Castle and Estate Ride you’ll likely be planning some extra craic in the land of saints and scholars. 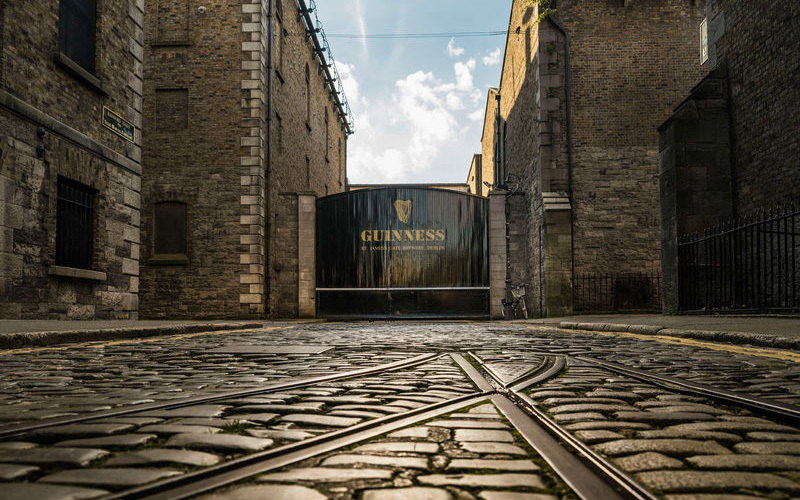 There’s no better place than Dublin, the nation’s largest city, to savour a Guinness, set your feet tapping to some traditional Irish fiddle music and soak up some Emerald Isle history. A taxi from the airport to the city will cost you around €20 to €25 and take around 40 minutes. However, for the same travel time, you can jump on the Airlink bus for just €10 open return. Trinity College and The Book of Kells – As far as universities go, Trinity College is a 16th-century standout of beautiful architecture and rich history. Within the grounds is the famous Long Library and the Book of Kells exhibition. Ornately decorated and dating back to around 800 AD, the Book of Kells is one of the world’s most famous manuscripts. You can wander the grounds for free, but you’ll need to pre-book a ticket to see the Book of Kells. To get full value from the visit we recommend a student-led walking tour. On the day we visited, we were lucky enough to tag onto a super entertaining children’s tour, where students from the drama department dressed as famous characters from a long list of famous Alumni including Oscar Wilde and Isaac Newton. 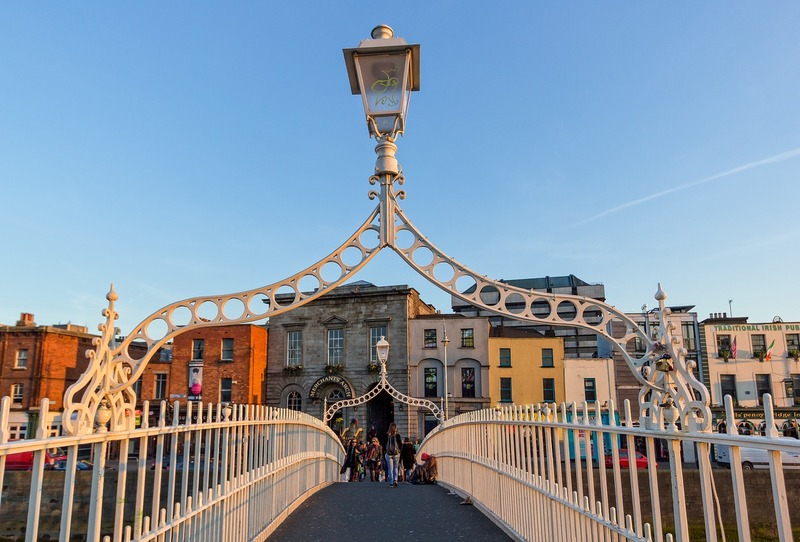 Free walking tours – Judging from the variety on offer, Dublin might just be the home of free walking tours. From literature tours to pub crawls to the sites of the 1916 Rising, there really is a walk for everyone. You can check them all out here. Guinness Storehouse – Think of Ireland and you’re bound to think of Guinness, the national drink. Stop in for a visit to learn about ‘Irish Champagne’, its history and how it’s brewed. Best of all there’s a free pint on offer at the Gravity Bar on the top of the building, where you also get to drink in some amazing views of the city. Galleries and museums – Dublin is home to the vast majority of Ireland’s cultural and historical relics. Visitors are spoilt for choice, with way too many galleries and museums to list. Have a look at all the options here. Look out for the National Gallery, the Writer’s Museum and the Irish Immigration Museum. There’s even a National Leprechaun Museum! You’ll find something that tickles your fancy, to be sure. If you want to be in the middle of the action, head to Temple Bar and grab a table at Oliver St John Gogarty’s. This four-storey venue is where it’s at – you’ll find a band playing all the Irish classics downstairs from 1pm until the depths of the night, with a nice bar and outdoor seating as well. Or you can head upstairs for a more authentic music session and restaurant experience – once again, at almost every hour of the day. We recommend the pot of fresh steamed mussels! 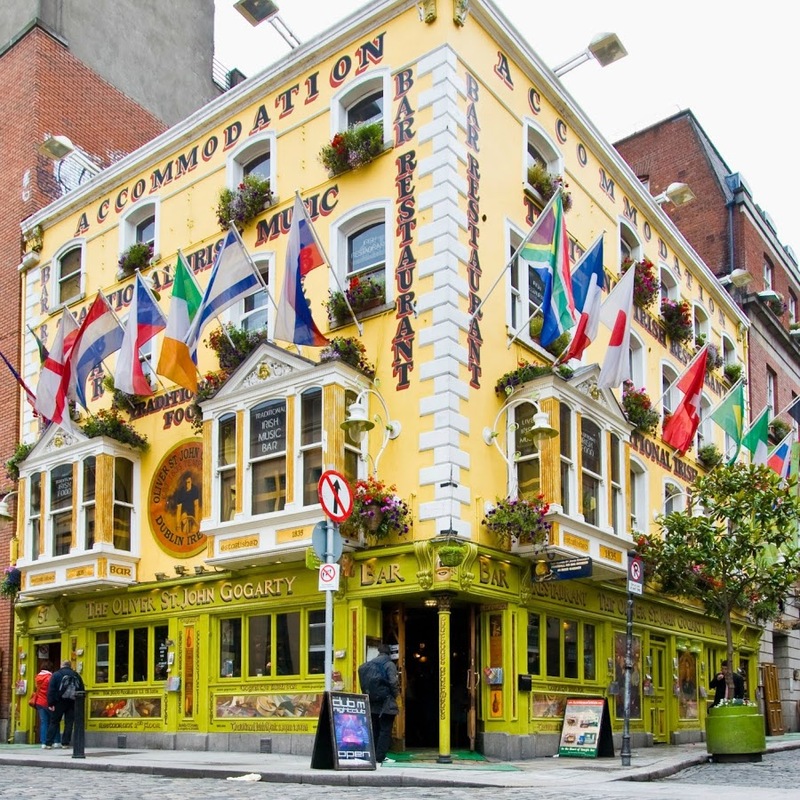 A visit to Dublin is never going to be cheap, and accommodation prices are no exception. That said, you’re bound to find better deals if you book well ahead of time. For budget accommodation, you can’t go past Ashfield Hostel. The staff at this hostel are absolute goldmines of information and will go out of their way to ensure you have a great time in Dublin. It’s close to Trinity College, Temple Bar, O’Connell Street and the River Liffey, yet it’s on a quiet street – the best of both worlds. The hostel offers private rooms, dorms, and everything in between. There’s also a free breakfast and a fully-equipped kitchen, which we LOVE! If you’re after super central accommodation, check out the Trinity City Hotel. This four-star hotel has been rated as one of the top ten budget hotels in Dublin. The decor is eclectic and comfortable, there are a number of dining options, and it’s smack bang in the middle of town. If you prefer the idea of staying in a quieter, more genteel part of town, Ariel House is an elegant Victorian guesthouse that ticks all the boxes for price and comfort, and is just 20 minutes from the city centre by public transport. Want to know more about the Castle and Estate Ride? Click here. This article was written by Bernadette Kelly, a loyal Globetrotter since 2010, with 16 rides under her belt spanning Africa, South America, Iceland, Europe, The UK, and Australia. Image credits: The Manual, Central Hotel Dublin, Irish Central, Oliver St John Gogarty.